Meilinger Consulting, P.C. is a CPA firm providing comprehensive litigation support and consultation in both marital and civil cases, as well as independent business valuations and forensic examinations. We serve the Greenville, Spartanburg, and Columbia, SC areas and enjoy an established reputation as a firm with both expertise and integrity thanks to our passion for exceeding our clients’ expectations. Our intent is to provide our clients with the expertise necessary along with the top-tier customer service they deserve. Business valuations may be required for several purposes: litigation, estate planning, and mergers and acquisitions. Meilinger Consulting is capable of valuing businesses of any size in these situations. Meilinger Consulting has provided forensic accounting services in conjuncture with litigation (both marital and civil), consulting, and financial statement re-creation engagements. We provide direct and indirect forensic examinations. We pride ourselves on providing excellent service while at the same time offering the independence and expertise required in these often difficult situations. 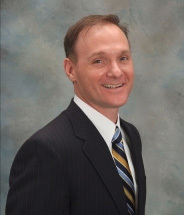 Mike has been a Certified Public Accountant since 1995. He has successfully assisted many clients in clarifying complex financial issues in several different situations including: divorce settlements, forensic examinations, business performance and value, and several other areas. Mike has also owned and sold several businesses in addition to Meilinger Consulting, P.C. which gives him a much deeper understanding of the critical issues facing your small business. Read testimonials our customers have written about Meilinger Consulting P.C. © Accountant websites designed by Build Your Firm, providers of CPA and accounting marketing services.